Would you like the world to find your property through wholesale markets? or through the retail market? Local House Changers. These are local people who can take their time looking for their next home, because they already own a house in the area. They’re only interested in the bargain of the decade. They know that a For-Sale-By-Owner (FSBO) isn’t paying a brokerage fee, so they automatically deduct the fee off the top when they look at the price you’ve put on your house. Their aim is to find a seller in trouble or someone who has underpriced their home through ignorance of its true market value. House Changers lowball FSBO’s; and there is no way they will let the seller make a good profit. House changers are set on saving the brokerage fee for themselves, that’s why they are not with a REALTOR either. Serious House Changers mostly work with a REALTOR®. Out-of-State Buyers. These are people on the move and not familiar with the area. They may need to access properties and write a purchase offer the weekend they have flown in to search. Whether they are moving here independently or using a relocation real estate company; their house hunting time is limited, and they’re balancing culture shock and a much bigger to-do list. They don’t know the true home values and where to find the communities they want to live in. Out of State buyers are under time pressures to make efficient actions, informed decisions and all their questions answered reliably — Out of State Buyers nearly always work with the free services of a local REALTOR® to oversee their interests (access, negotiate, inspections, paperwork, due diligence items, etc.) when they are in town, and out of town. Out of State buyers use REALTORS® to find their real estate. Dreamers & the Unqualified. Dreamers run around viewing properties as a hobby, wasting an FSBO’s energy. I can assure you our REALTORS® don’t run around with unqualified buyers or dreamers. Stats show the majority of serious, qualified buyers do not run around without representation. It’s apparent in the real estate industry that REALTORS® offer you the best marketing numbers, the best buyers, and the best marketing efforts to reach the high paying buyers. FSBOs accounted for 9% of home sales in 2013. The typical FSBO home sold for $184,000 compared to $230,000 for agent-assisted home sales. The primary reason that sellers choose to sell their home without the assistance of a real estate agent to a buyer they did not know was that they did not want to pay a fee or commission (46 percent). Approximately one-third of FSBO sellers took no action to market their home, and 64 percent did not offer any incentives to attract buyers. The typical FSBO home sold for $184,000 compared to $230,000 among agent-assisted home sales. Selling home without agent may not be worth the trouble, (Washington Post, Nov. 19, 2014). 5 Reasons You Shouldn’t For Sale By Owner, (KeepingCurrentMatters.com, Nov. 3, 2014). For Sale By Owner: The Truth About Selling Your Own Home, (Chicago Now, Sept. 4, 2014). For Sale By Owner: The Myths And Lies About Selling Your Own Home, (Chicago Now, Sept. 2, 2014). First Time Buyer – Do I Need an Agent for a FSBO Purchase?, (Realty Times, Apr. 29, 2014). Why For-Sale-by-Owner Sales Fail, (realtor.com®). Six reasons why FSBOs are fizzling in the housing recovery, (Totalmortgage.com, Dec. 11, 2013). How to sell your home without an agent, (U.S. News & World Report, Dec. 3, 2013). Will the internet lead to the death of the salesman?, (Marketintelligencecenter.com, Nov. 22, 2013). For Sale by Owner: It Can Be a Halloween Nightmare Story, (Realty Times, Oct. 26, 2013). More homeowners ditching real estate brokers, (New Pittsburgh Courier, Oct. 19, 2013). FSBO Websites: Yahoo! provides a list of over 40 FSBO websites that you may want to be aware of. 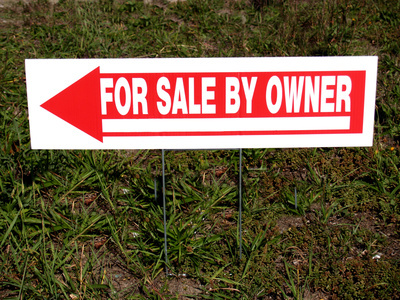 5 reasons to beware the “For Sale By Owner” sign, (Houston Business Journal, Sept. 6, 2013). Nine FSBO Mistakes to Avoid, (Tallahassee.com, Nov. 2, 2012). NAR buyer and seller survey shows value of long-term home ownership, (RISMedia.com, Nov. 9, 2010). Use a professional marketing machine that looks out for your bottom line and time.